The Aqua-Internal 50 filter is suitable of filtering up to 50 litres of aquarium water. This model is an efficient and quiet dual action internal aquarium filter. 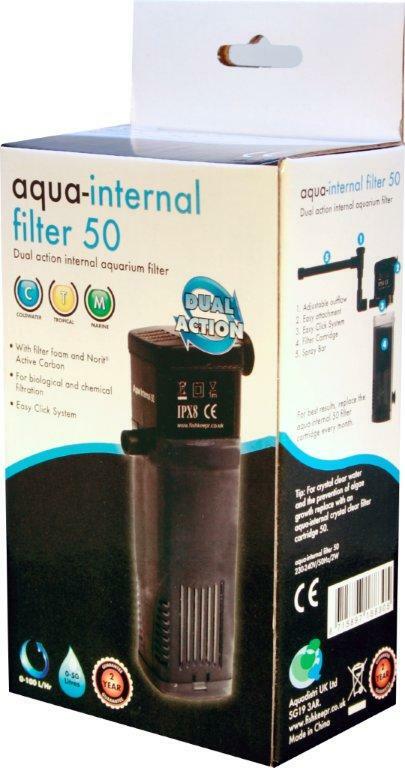 The compact Aqua-Internal 50 filter is ideal for use in all types of coldwater and tropical aquariums.